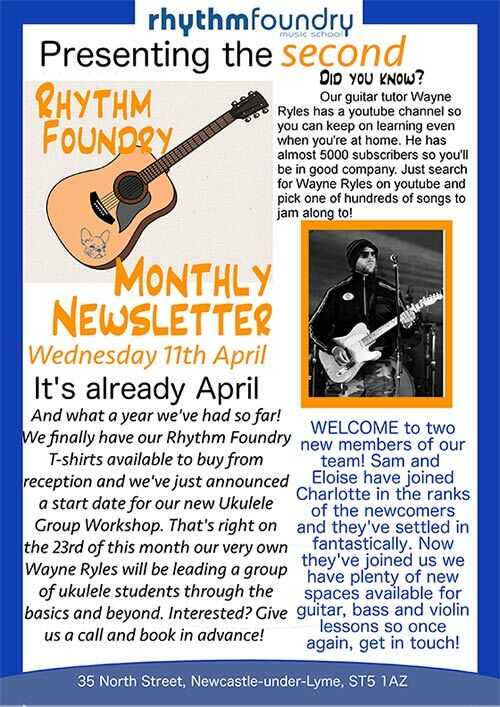 Recently relocated to Newcastle-under-Lyme, the Rhythm Foundry is a private music school dedicated to teaching a variety of all musical instruments to all ages. Established in 2005, we have more than 12 years experience in music education. Since our humble beginnings in an old disused foundry in Stoke on Trent we've gone from strength to strength. Our new home is bigger and better than ever with some great facilities for the areas budding new musicians. Tuition is provided for beginner, intermediate and advanced musicians, and we teachall styles of music from Classical and Jazz to Pop and Rock. Lessons are conducted on a one to one basis in a lively and vibrant atmosphere. We're proud to have some of the areas most respected session musicians who are second to none in teaching music with a great passion and repertoire. We're also known to be super friendly too. If you would like to pop in for a nosey and a cuppa then you're absolutely welcome and we promise to impress! (Please call to arrange a visit has sometimes staff may otherwise be busy in lessons) Or if you like to simply book a trial lesson then please do not hesitate to call us on 01782 272288, and we'll be more than happy to help. Our vision is to provide each individual student with a unique opportunity to develop and progress their creative musical skills, whether their goal is to play for fun or to play professionally. 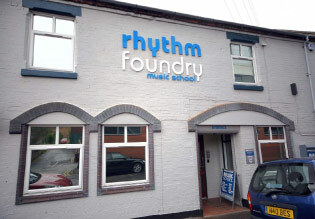 The Rhythm Foundry also have rehearsal rooms available for hire. For more information please don't hesitate to get in touch.